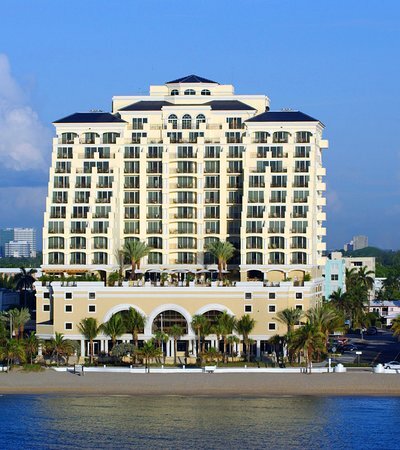 The Atlantic Hotel & Spa, Fort Lauderdale’s iconic all-suite beachfront boutique hotel, introduced this summer a wave of new services to its roster of distinctive amenities and announced a full renovation of its 104 suites to be completed this winter. While its classic coastal charm will linger, The Atlantic will have a fresh new feel complete with brighter tones that complement its surrounding tropical landscape. The boutique neighborhood gem celebrates its surroundings not only through its décor but also through local partnerships and everyday operations. For one of its most notable collaborations, the Very Important Dog (VID) program, The Atlantic has partnered with Florida-based barkBISTRO, handmade dog food with real ingredients. The program also features clean pet living brand Petbiotics to pamper furry guests. New amenities also include a partnership with Lavazza as its in-room and restaurant coffee supplier, a program with Gay Travel for LGBTQ+ travelers and a new rooftop SKY Bar in collaboration with Campari. Rounding out the property’s dining options is a brand-new beach menu, offered to guests and non-guests alike craving a casual bite on the shore.